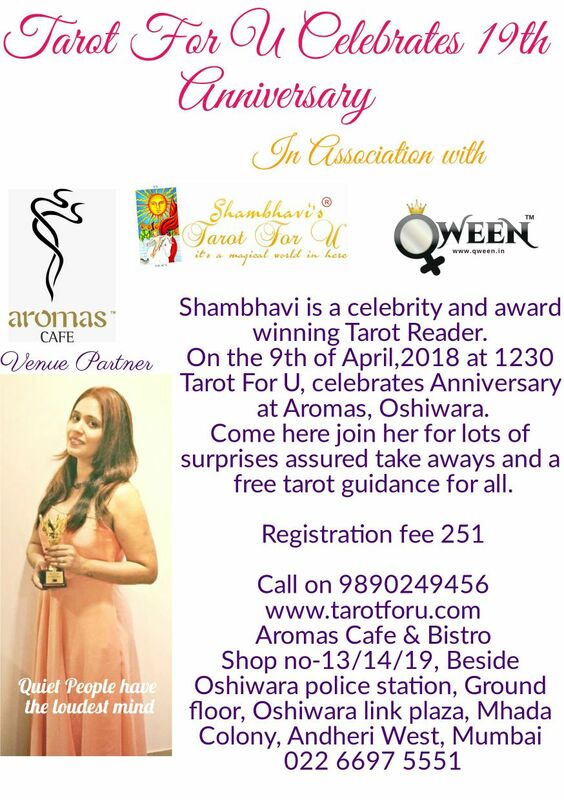 Qween is associating with Tarot For U, for the first time to celebrate the 19th anniversary at Aromas Oshiwara. Something Qween would like to share about Shambhavi's work is that she is an extremely warm and approachable person.She is a extremely talented and a multi award winning in various categories. 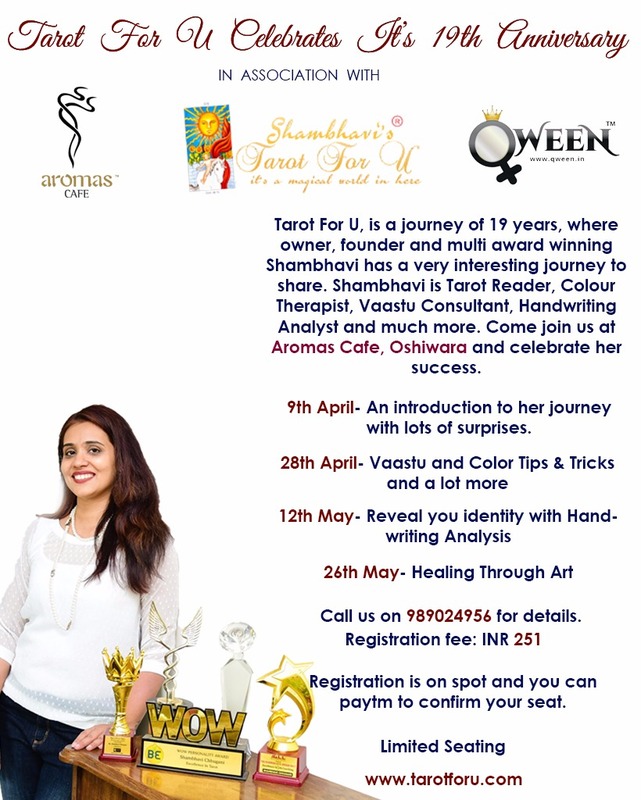 She is a life coach,a tarot reader,a vaastu consultant ,a colour therapist and a lot more. She take care to ensure to heal the life of those who seek her guidance. Qween and Tarot For U, is bringing together a small event.Wherein you get to see the talents she possesses! Attend her session wherein lots of surprises are planned, for just Rs 251/- per session! Snacks and beverages will be provided to all attendees. You can also sign up now and paytm at the venue on the day of the event.